As an alternate to the history of the Cold War in relation to its developments and impact on Indonesia – and even further abroad – The Incubus of Intervention is an intriguing and complex review of the historical record. The title word ‘incubus’ indicates a nightmare, evil spirit, or a person or thing that oppresses like a nightmare. As many other studies have shown, it is an appropriate appellation for the interventions of colonial powers and those trying to usurp the colonial powers. In this case the colonial power is the Netherlands and the usurper, as in most cases post World War II, the U.S.
Allen Dulles plays the dominant role. As head of the CIA from its inception, and with a history of espionage, under cover maneuverings, and many ties to legal and corporate interests, Dulles became the ‘embodiment’(1) of U.S. foreign policy in Indonesia. While considered a failure in standard histories, Poulgrain shows how the rebellion itself was manipulated by Dulles in order to have it fail. The ultimate prize of course was keeping Indonesia away from the clutches of the Communists. The back story is much more convoluted and intriguing than that simplified scenario. The story also involves oil and gold (naturally, as with most U.S. interventions looking for corporate control of resources), the royalty of the Netherlands and Germany, the oil companies and mineral explorers of the Netherlands and the U.S., Wilsonian ideals of self determination, especially for the indigenous people of Papua New Guinea, regime change, and last but not least, Dag Hammarskjold and John F. Kennedy. There are many people who would have wanted Kennedy killed – crime syndicates, political opponents, Cuban expatriates, Russians (least likely scenario), and as per Poulgrain, Allen Dulles is a strong contender for that list. 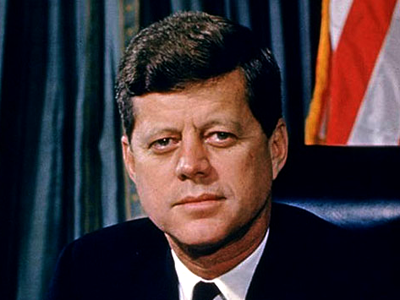 (2) Kennedy’s relationship with Sukarno and his attempts to find a peaceable course of action to keep Indonesia within the U.S. sphere jeopardized the corporate background interests of Allen Dulles. Dag Hammarskjold also became a problem as he worked with the ideals of the non-aligned movement. His efforts in Indonesia are not as well known as his efforts in the former Belgian Congo, but both conflicted with Dulles’ attempts at grabbing resource rich former colonies for U.S. corporate control. As should be generally known, Hammarskjold was killed in a plane crash in 1961 in the Congo, very likely from Dulles’ CIA and corporate connections aiming for control of the riches of the Congo, nine months after the CIA killed the4 Congo’s Patrice Lumumba, another patron of the post colonial non-aligned movement. 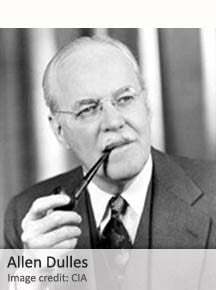 (1) The Brothers – John Foster Dulles, Allen Dulles, and Their Secret War. Stephen Kinzer, St Martin’s Griffin, New York, 2013. (p. 323).